Click here to pre-book online. Rides TO the Airport FROM Edmonton MUST BE pre-booked online or by phone. Please phone 780-465-8515 to book your trip. Rides FROM the Airport TO Edmonton DO NOT need to be pre-booked. Upon arrival please proceed to the skyshuttle check-in desk. Please note that children aged 3 and under ride for free (provided they don't occupy a coach seat unless vacant seats are available). skyshuttle provides the ultimate transportation solution to and from Edmonton’s International Airport. 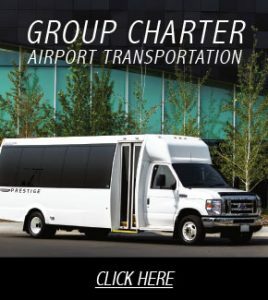 skyshuttle offers spacious and comfortable vehicles, with ample room for groups or families, as well as all luggage and travel necessities. Your safety is our number one priority. skyshuttle vehicles are equipped with GPS technology and video monitoring systems. skyshuttle drivers are professionally trained to provide safe and courteous service. skyshuttle round trip tickets are first come first serve upon arrival at the skyshuttle check-in desk. We do our best to provide availability on a shuttle nearest your arrival time, however, with the unpredictability of flight arrival times, luggage collection and customs we are unfortunately unable to guarantee or hold shuttle seats for pre-paid round trip ticket holders. Upon arrival at the check-in desk all round trip ticket holders will be booked on the next available shuttle. Please be advised that we do not provide refunds. The last skyshuttle departs the airport at 1:30 AM for all South, University, Downtown and Kingsway locations and resumes operation at 6:00am. The last skyshuttle departs the airport at 7:30 PM for all West Edmonton locations and resumes operation at 5:30am.